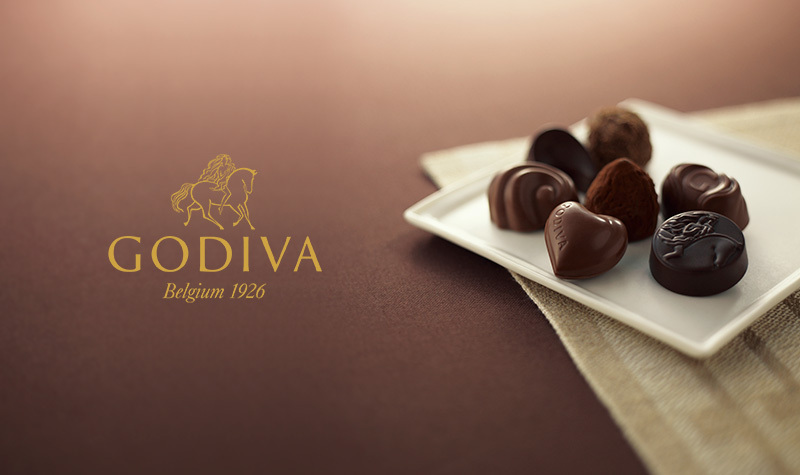 “Lady Godiva by John Collier” by John Collier – Licensed under Public Domain via Wikimedia Commons. 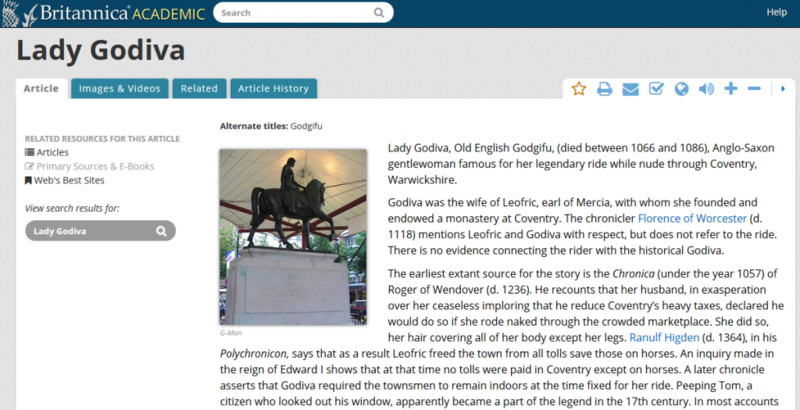 Lady Godiva: or, Peeping Tom of Coventry. 1869. 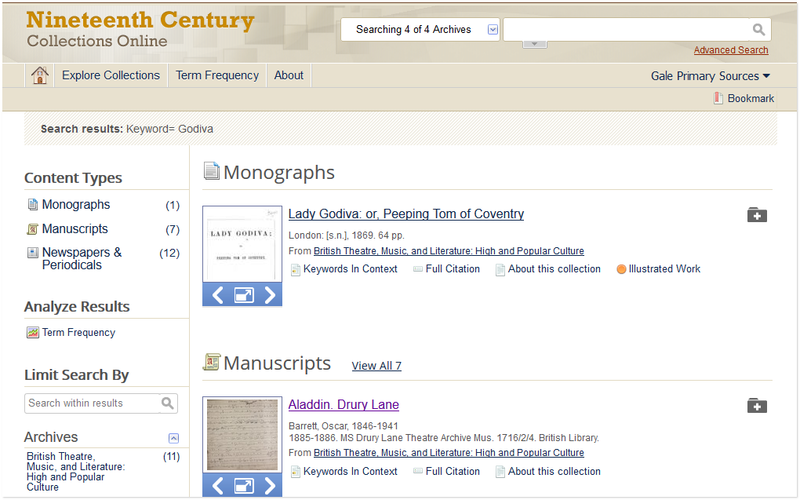 Nineteenth Century Collections Online, http://tinyurl.galegroup.com/tinyurl/5hmrg6. Accessed 26 Dec. 2017. 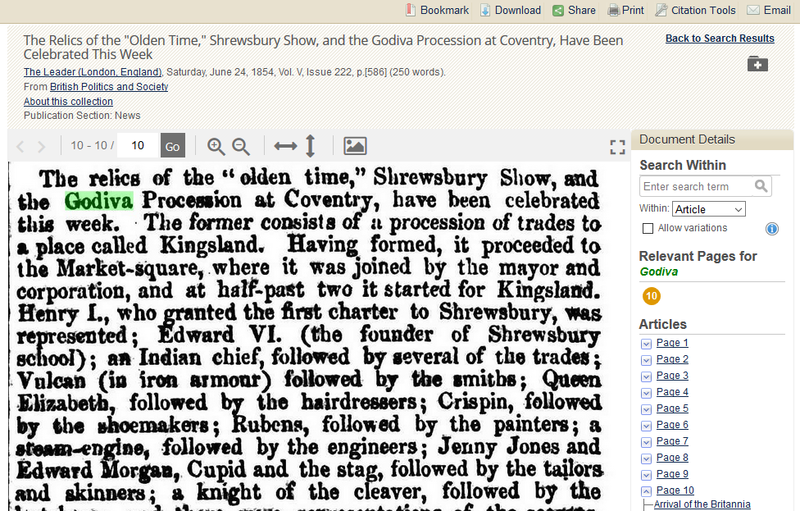 “The Relics of the ‘Olden Time,’ Shrewsbury Show, and the Godiva Procession at Coventry, Have Been Celebrated This Week.” Leader, 24 June 1854, p. . Nineteenth Century Collections Online, http://tinyurl.galegroup.com/tinyurl/5hmud1. 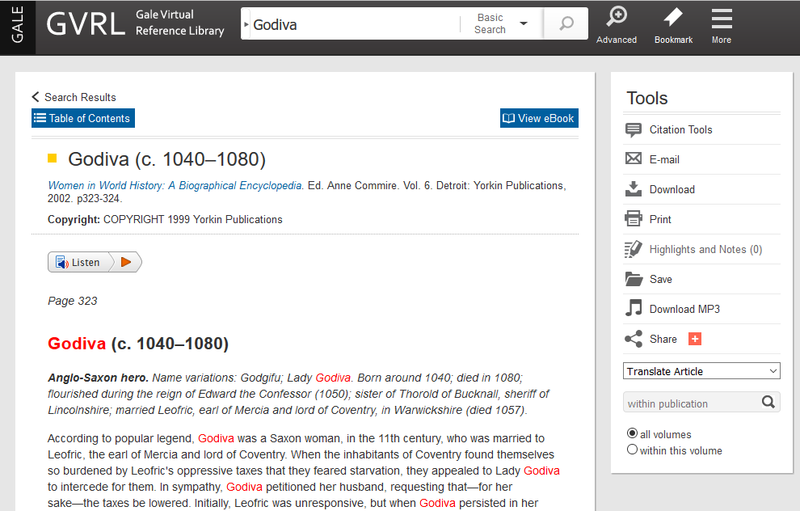 Accessed 26 Dec. 2017. 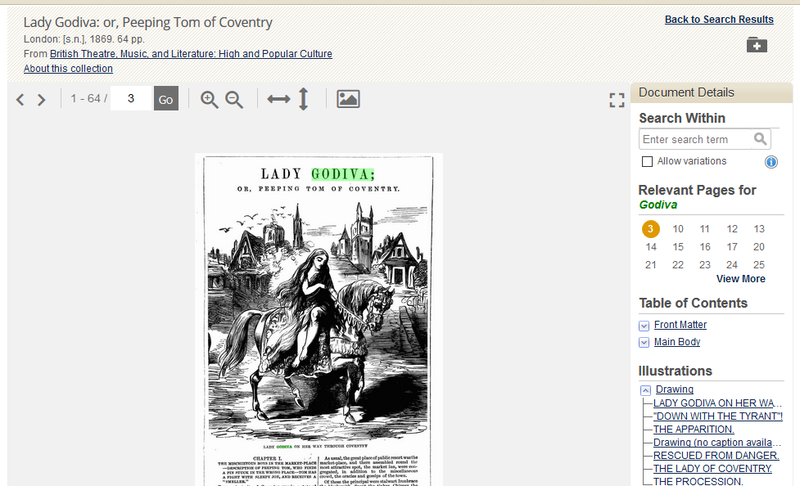 This entry was posted in 人文與藝術館藏資源, 精選主題館藏選介 and tagged Alexander Street Press, EB Online, Gale, Gale virtual reference library, Godiva, Lady Godiva, NCCO, Nineteenth Century Collections Online, 亞歷山大, 多媒體, 大英百科全書, 巧克力, 影音, 戲劇, 故事, 文學, 歷史, 英國, 藝術, 音樂. Bookmark the permalink.